In the market for a used car? There are so many years, makes, and models available at dealerships, in newspapers, and advertised online that you might make yourself dizzy wondering where to start. 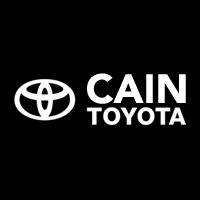 Here at Cain Toyota, we have a few suggestions for which vehicles make the best used cars all across the board, whether you’re looking for something small and fun or large and accommodating. Toyota Prius: What’s a hybrid doing on a best used car list? The Prius was one of the first-ever hybrids on the market, and definitely became one of the most innovative and popular in its segment. As a result the Prius has one of the best ranges of them all and is more likely to look like a traditional, sportier car rather than an oddly-shaped niche car. Nissan Murano: The Murano is a fan-favorite SUV. It’s a great option for drivers looking for something with a bit more capability and security than your average used car thanks to its responsive handling and large size. The attractive, well-appointed interior doesn’t hurt, either. Ford Fusion: The Fusion exudes a more European feel in terms of both style and performance, so it’s easy to enjoy the fun, nimble ride it has to offer. As a roomy sedan, it also makes for a practical everyday ride for taking the kids to school, commuting to work, or running errands. 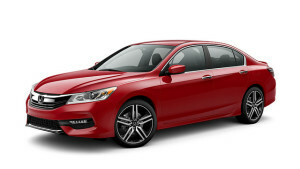 Honda Accord: Also a longtime favorite among used car buyers, the Accord offers excellent performance thanks to its surprisingly sporty suspension. Consistently excellent fuel economy numbers and its staggeringly spacious interior add bonus points to the Accord’s score. Come on down to Cain Toyota to test drive these and any other used cars that might catch your eye. We’d be happy to help out with any thoughts or questions you may have throughout the shopping and car buying process.